As summer approaches, one of the goals you’ve set for yourself is to practice better oral hygiene because you want to have fresh breath and prevent cavities from developing. Did you know, though, that practicing excellent oral care does so much more for your overall health? As you read on, your dentist in Frisco explains the concept of oral systematic connection and how you can prevent a host of dental problems. What is Oral Systematic Connection? The concept of oral systematic connection is an ever-evolving new approach to assessing one’s overall health. 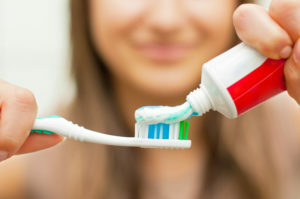 A collaboration between medical and dental professions has produced evidence that suggests a connection between the care of the oral cavity and the health of the rest of the body. The premise is that since the blood flowing from the gums travels throughout the body, if there is an acute infection that has caused inflammation, the effects will be felt in other parts like the heart, pancreas and brain. Furthermore, research shows that any adverse problems in the foregoing areas stem from one source – bacteria. How Do Bacteria Impact Your Health? The first thing to know about bacteria is that they aren’t all bad. In fact, without the bacterium, life couldn’t sustain itself. For example, there are bacteria in the stomach that help to regulate the environment in that very volatile part of the body. Furthermore, their presence ensures that your immune system functions more efficiently. There are other bacteria, though, that have the sole purpose of eating, growing and causing decay. It is this group that becomes the nemesis to oral health. One of the primary ways that bacteria can be problematic is through lowering the pH level in the mouth, which makes the environment more acidic and toxic. If untreated, they can cause tooth decay and lead to gum disease. Gum disease, untreated, serves as the gateway to a host of other health problems – even beyond just the oral cavity. That’s because the blood in the gums is transported throughout the rest of the body. The disease itself is the inflammation of the gums due to acute bacteria growth that hasn’t been treated. The early symptoms are bleeding, swollen, puffy and irritated gum tissue. If not treated, this disease could lead to tooth loss. As mentioned earlier, the infected blood then travels from the gums to the brain, the heart and pancreas, leaving a trail of plaque that causes havoc in the areas it inhabits. Practice Oral Hygiene – Brushing and flossing your teeth at least two times a day will play a huge role in preventing bacteria growth and protecting your overall health. Visit Your Dentist – Additionally, you should be sure to maintain regular visits to your dentist for cleanings and checkups. This will ensure that you’re protected from the ills of oral maladies that eventually become even bigger problems. To learn more about how you can enhance and protect your overall health through better oral care, reach out to your Frisco dentist today! Dr. Jill Wade earned her dental degree from Baylor University. A leader in research into oral systematic connection, she is a founding member of the American Academy of Oral Systematic Health. Dr. Wade helps her patients enjoy total wellness at Stonebriar Smile Design and can be reached for more information through her website.